What a bloody brilliant question. 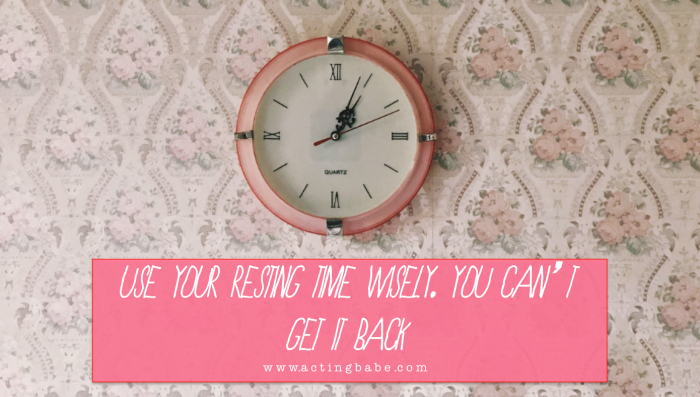 What do you do when you’re resting as an actor? And how do you balance all that free time you have now, post committing fully to taking on part-time work and freeing up some space to immerse yourself in actor land? The first challenge that I see come up for actors time and time again is managing their time. When suddenly you have gone from being in a full-time or very busy part time role where your hours were determined weekly and you were absolutely drained when you got home (and feeling more like peeling a spud than sitting down to read monologues or practice your craft) to suddenly having about a billion hours spare that you can do ANYTHING with, the next challenge is how not to procrastinate these new found days away…. Get up at 8am full of fuel, ready for the day. 8.45am Grab a cheeky coffee (Nespresso, plunger, up the street if necessary, instant if desperate etc). 9.00am Commit to doing some actual work at your desk or in your lounge. 9.15am Realise you’ve been dragged into Twitterland. Far out. Focus. Back to emails. 10.00am You’ve deleted all your old emails and responded to that Hen’s party request from Sally. 10.15am Definitely time for another cuppa. 11.00am You’ve managed to vacuum your room, dust, put a load of washing on and work out what to wear for your coffee meeting in 2 hours time. I am telling you, in actor land, hours can disappear right before your eyes, on seemingly meaningful tasks, that bear little semblance to anything of actor career building value. Focus is important. I promise you the number one thing that will let you down when you suddenly have spare time, is your lack of focus on the critical things that actually lead to you getting results, i.e. getting more auditions, booking more jobs, learning your lines for jobs you’ve booked. In order to prove my point I would like to use this example. How long does it take to send a Casting Director (CD) email out? You need to research the Casting Director – but chances are you’ve already done this as you know who is casting shows that you’d be great in. You know your stereotypes. You have that covered. Now you need to find their email – IMDb pro perhaps, a CD workshop you attended, Spotlight might have shown it on a casting, an acting friend might have it, The CDG website might show it. etc. You use your investigative powers and find it. Then you bang out a very carefully considered email that is short, concise, demonstrates your relevance to what that CD is currently casting for, that includes links to your CV and a small jpeg version of your headshot, and boom, you are on your way. How long did that take? Most likely 30 minutes to an hour. How ma ny hours do you have in a week? 168 hours (I’m a Math genius aren’t I). 56 of those hours you may be sleeping, another 5 might be used up for exercise, another 10 might involve auditions if you’re lucky, another 42 hours might be used for eating and drinks (that includes the irregularity of food sessions accounting for times where lunch/dinner takes 2 hours and breakfast might only take 5). You are left with a cool 55 hours so you could probably allow yourself to send 3 Casting Director or Agent letters or emails per week (a total of 3 hours spent max). Coffee dates for 10 hours of your week with 5 of your fellow actors buddies is not a good allocation of time, even though we think it is. Of course, you’re welcome to use some of the 42 allocated hours to eating. But when you start encroaching on the time that you could be home writing CD letters, working on monologues, going to drop in classes, getting accent practice, finding out about when the next Paines Plough auditions are on etc, you are self sabotaging your career. You are also not earning the money that you were earning before in your full time job (remember that job. The one you hated so much because it sucked all the creative life out of you). Learn to be irreverent. Learn to ignore the rules. Learn to say no. And learn to say no to friends. Learn to say no to chores unless it’s the right time of the day. 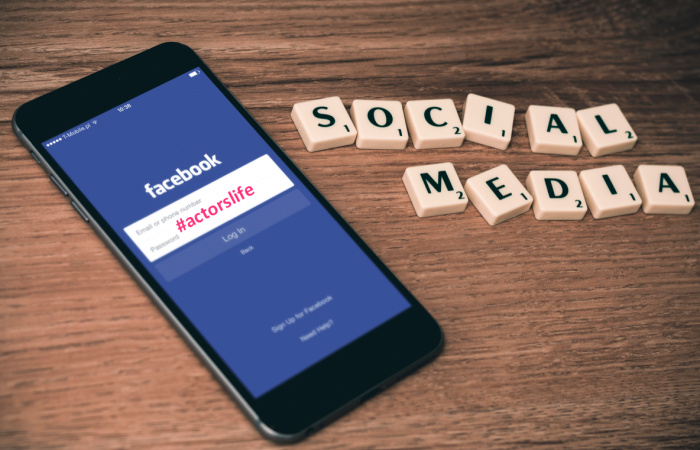 Learn to manage your social media time. It’s your career that matters, and time waits for no woman. What do I say to actors who ask what to do with their time when they’re resting? I say, consult your goal planner for 2015 and see what you said you wanted to get done for the month of July. Have you done it yet? Then I guess you shouldn’t really have that social time with Shirley till you do.